In a record-breaking year for number of entries, Middlesex University is very proud to announce the shortlisting in the Student Nurse of the Year (Children) category of BSc Nursing third year student Ciara Holden at the 2018 Student Nursing Times Awards. At the encouragement of her course tutor, Ciara nominated herself - one of two paths to the award, along with being nominated - which she says felt "incredibly difficult, it's so awkward! It's the same as CV writing, you're bigging yourself up which is a weird thing to have to do. But I got to reflect on achievements throughout my training, and that was really nice". Ciara is the only shortlisted candidate for the award from a London university. Paediatric nursing is a natural fit for Ciara as she loves children and has worked with them in a number of previous roles, including running youth groups and teaching sports such as netball. After doing her A Levels at Bishop Luffa School in West Sussex, she initially went straight into the hospitality industry, becoming the manager of a Soho coffee shop by the time she was 21. But, she says, with many of her family working in health, including a brother who is a paramedic and her mother a former deputy head of nursing at a London hospital, she always knew she would sooner or later shift to training as a nurse. "Ciara is a warm, caring and committed student. Her enthusiasm for Children and Young People's nursing is exemplary and this is evidenced by excellent feedback from clinical colleagues." She has been Student Voice leader for all three years of her course - "I like advocating for people who find it awkward chatting to teachers" she says. 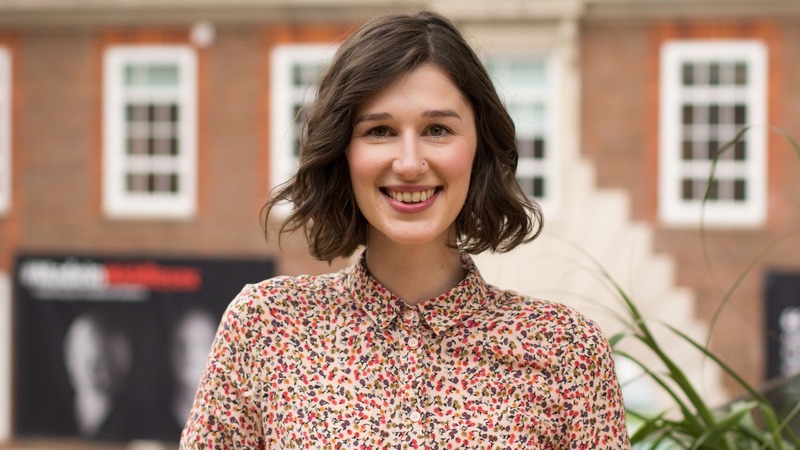 She has also for the past year sat on the panel of Health Education England North, Central and East London (HENCEL) as student representative, which she describes as "such an honour: I've learned so much, I've loved being able to represent students in that way". At HENCEL's request, she will continue in her role after she graduates. Ciara calls Middlesex a "great uni" with amazing facilities and an appealing mix of students of different ages and stages in life on her course. Straight after graduation in September, she begins a job at Great Ormond Street. She hopes to work soon in oncology which she finds fascinating. She wants to remain in a nurse education role, perhaps as a practice facilitator, and she aspires to become a nurse specialist in her field. For the latter she will probably need to study for a Masters, "which I'm very up for doing, I really enjoy learning", she says. "I like advocating for people who find it awkward chatting to teachers. And l've loved being able to represent students [at Health Education England]"
"I am delighted that Ciara has been shortlisted for this award" says Child Nursing course leader Caroline Carter. "She is a warm, caring and committed student and it has been a pleasure to work with her in her role as Student Voice Leader. Her enthusiasm for Children and Young People's nursing is exemplary and this is evidenced by excellent feedback from clinical colleagues. Ciara is proactive and is always willing to take on extra roles and responsibilities including representing the student body at external events. She thoroughly deserves this recognition". The finals of the 2018 Student Nursing Times awards are on Thursday 26th April at the London Hilton hotel on Park Lane.